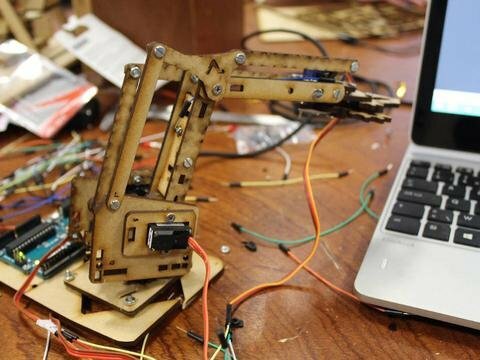 On 21 and 22 December 2015 we organised a Make-a-thon for kids of 11 to 14 years old in Fablab Erpe-Mere. In these 2 days, they learned how to build and program Arduino-based electronics, how to design in Inkscape and how to lasercut parts. In the end, they all had to build and customise their own robot arm, based on the MeArm.